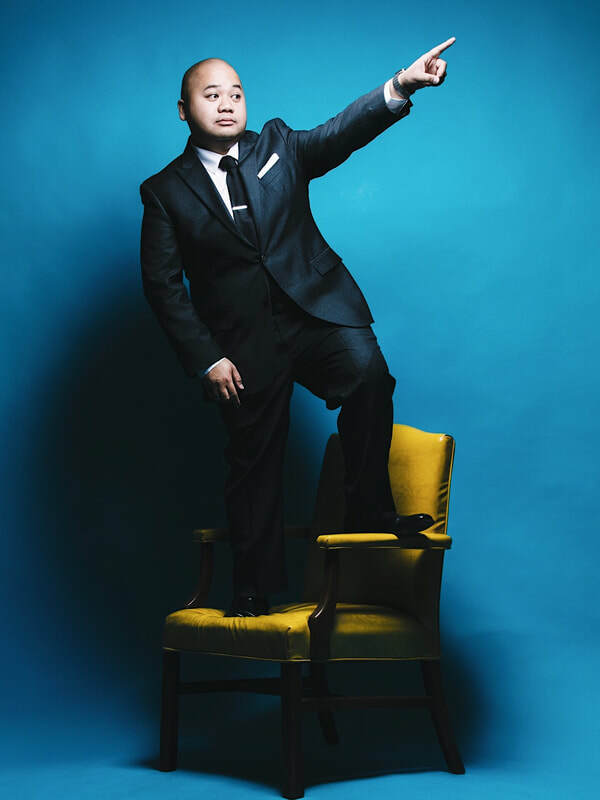 ​This week, the B4UDie Comedy Festival takes over the Anchorage Press! Pick up a copy and read all about Alaska’s first comedy festival. Also, get to know the festival's headliner and one of my favorite comedians by checking out my interview with Kyle Kinane! Click on the photo for that story. Check out my two latest plays, Real Superheroes and You're Pre-Approved!, this Sunday or Monday at that 6th annual One-Minute Play Festival! Click on the banner to be taken to the Facebook event. 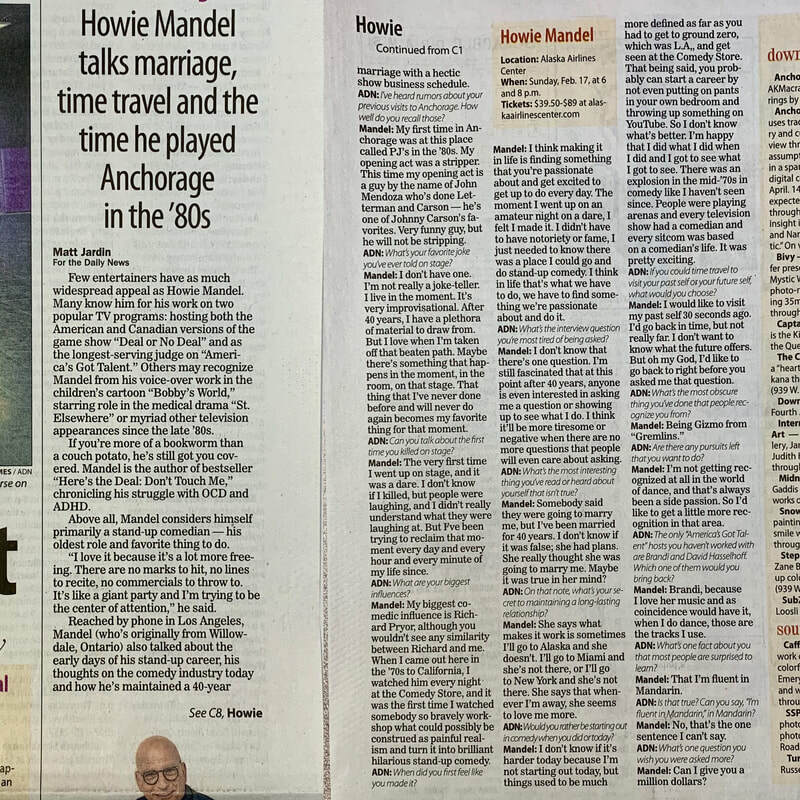 Check out my interview in the Anchorage Daily News with Howie Mandel of Deal or No Deal, America's Got Talent, and Bobby's World fame! Then see him perform for real this Sunday at the Alaska Airlines Center! Pick up a copy or click on the photo for the article. I'm excited to be involved in the first ever Alaska B4UDie Comedy Festival! We've got an amazing week of shows lined up, headlined by none other than the legendary Kyle Kinane! Click on the banner for the full schedule. New year, new season of shows! 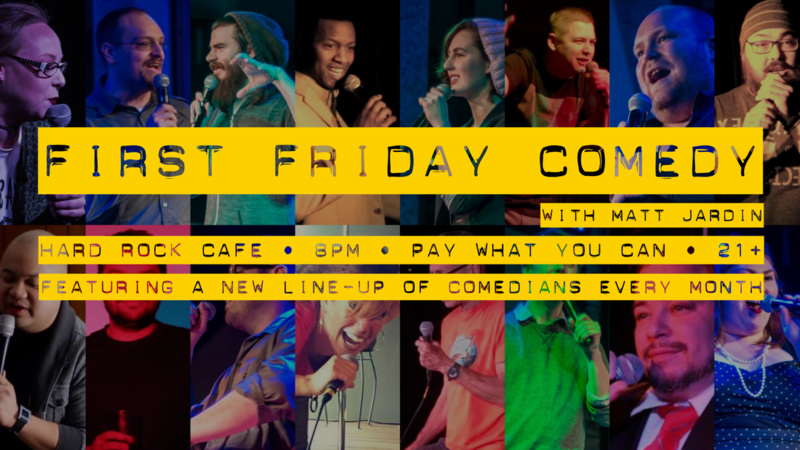 Come laugh with us on the first Friday of every month in 2019! Click on the banner for the Facebook event. 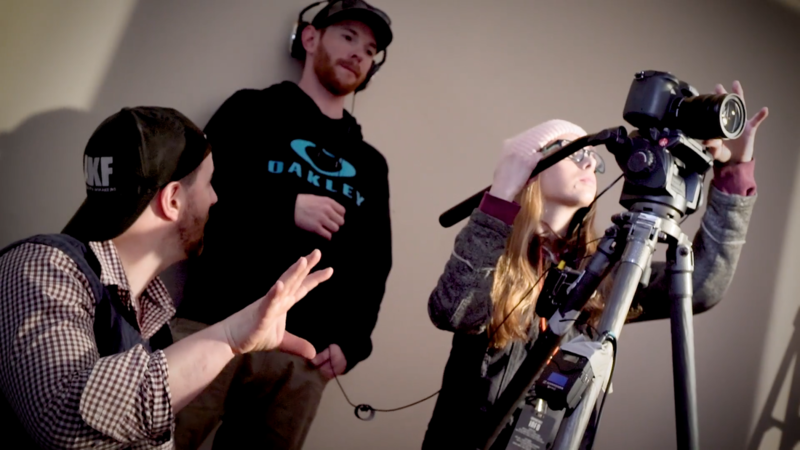 Over the last four years, I've exhausted all the ways I can gush about how proud I am of this community of Alaska filmmakers and how gratifying it is to co-organize the 5-Day Film Royal. So I'm just going to let the annual behind-the-scenes documentary do the heavy lifting. Thanks to everyone who made a film, and to everyone who came out to watch them. Keep making movies, and we'll see you at the 24-Hour Film Royal in April. 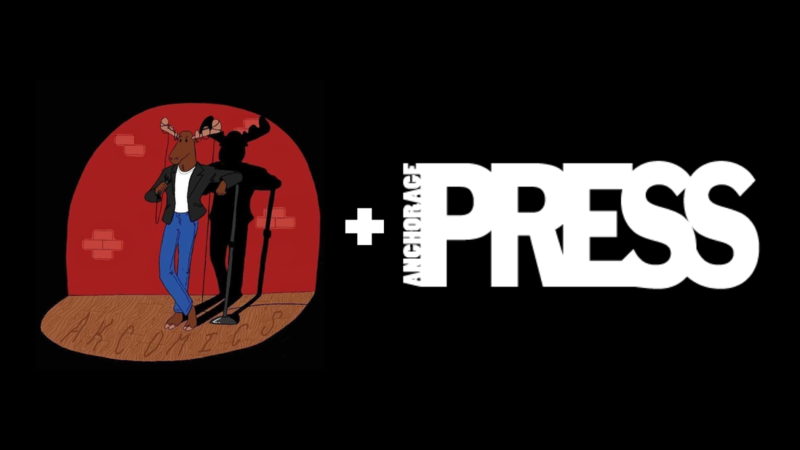 Things have been pretty quiet, but I'm excited to announce that a collaboration with the Anchorage Press to produce some really cool content is in the works. More details are coming in the weeks ahead, so stay tuned! After a yearlong hiatus, I'm excited to announce that it's once again time to enroll in the 4th annual Summer School for Drunks comedy show! Take a break from the heat, buy your teachers a round, and prepare for some hands-on learning. If you've ever thought about going back to school, this is your chance! (Disclaimer: not an actual accredited university.) Click on the poster for the Facebook event page. After four years of running the 24-Hour Film Royal, you'd think that we'd have run out of gushy things to say. But this year is different. 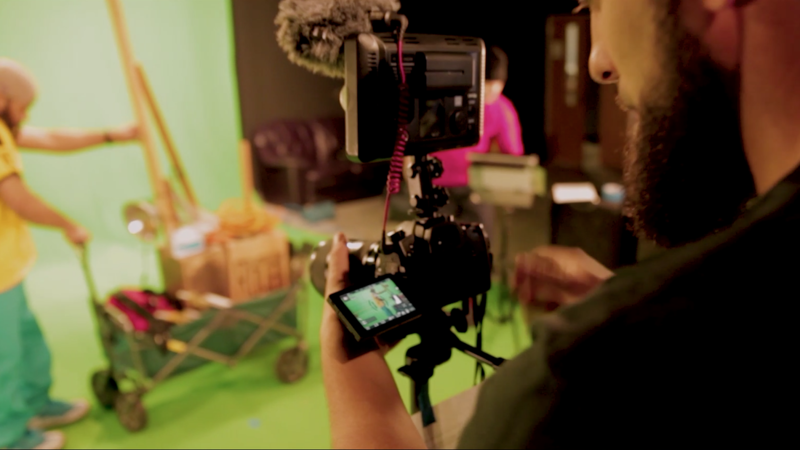 This year the competition had more brand new teams sign up and make a movie than before. That means more artists feel encouraged and that our community is growing, and that has always been the purpose of this events. As always, enjoy the annual behind-the-scenes documentary of this year's teams, and we can wait to work with all of you again soon. Career update! I was just brought on board as a staff writer for my alma mater, so follow me there for new weekly stories!